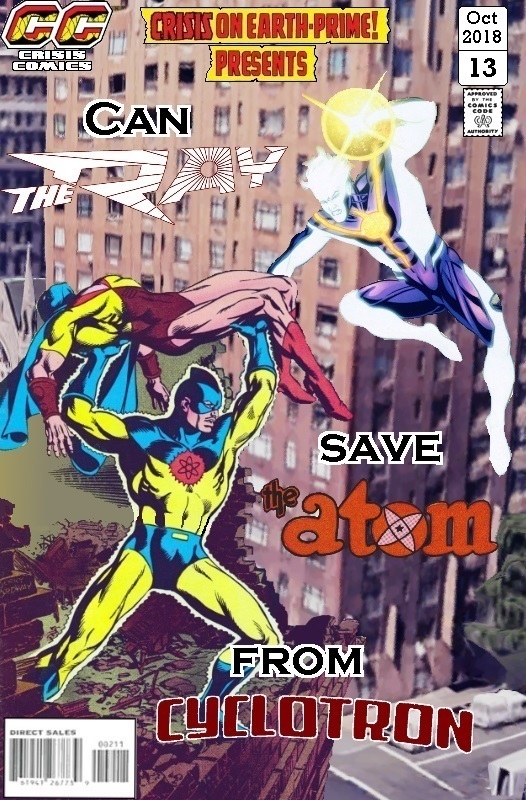 Old school meets new school as the New 52 Ray clashes with the Earth-2 Cyclotron in an effort to save the original Atom. The New 52 Ray mini-series wasn’t bad and, with the Phantom Lady and Human Doll series that followed it, it looked like there was going to be a new iteration of the Freedom Fighters, but sadly that went nowhere. Posted on Monday, October 1, 2018 Monday, October 15, 2018 by GaryPosted in Mash-UpTagged Atom (Al Pratt), Cyclotron, Ray (Lucien Gates).